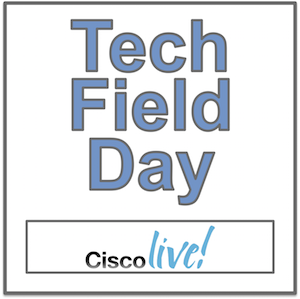 I am honoured to have been selected as a delegate for Tech Field Day during Cisco Live Europe 2019 in Barcelona! Cisco Live Europe will take place from the 27th of January until Friday 1st. I am really looking forward to this opportunity. There are some really great names among the list of delegates that I hope to be interacting with quite a lot, both during and after the event. I am still to receive the official list of presenters, so I can’t tell you just who all the presenters will be, but im sure the Tech Field Day crew will release that information shortly. When possible, I will be blogging about the presenters for sure. Also, during the event I will be posting to twitter so stay tuned. A big thank you to Ben and Tom from Tech Field Day for extending an invitation! I can’t wait!